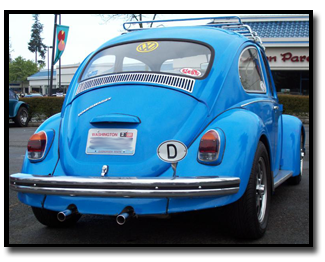 D&M Automotive Service Inc. is a Beaverton , OR business with over 30 years experience in Volkswagen/Audi automobiles, and a 20 year history in the same location. offering full service & repair for ALL model Volkswagens & Audis. Our staff is well trained on both Air and Water Cooled Volkswagen/Audi models, and can quickly and accurately diagnose and repair your car having it back in your hands before you know it. Straight talk, honesty, and affordable pricing is what you can expect from D&M. We are committed to bringing you the best product for your dollar. We use only the highest quality replacement we can find, If we can't warranty it we won't install it. If you own an Air Cooled Volkswagen then you already appreciate the importance of maintenance. At D&M Automotive Service we can provide you with Top Quality maintenance and repair of your Air cooled ride. From a simple oil change to a completely new engine our technicians will have your ride running like it was new in no time. Bus, or Bug, Notch, or Fastback, Let our tech's. make your ride run rite. If you own a newer model Volkswagen/Audi, regular maitenance is one of the most important things you can do for the extended life of your car. At D&M our tech's. 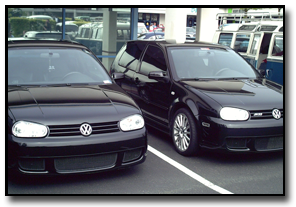 are well trained in the service and maitenance of your Volkswagen/Audi Vehicle. From Air Filters to Timing Belts, we use the latest computer diagnostics to make sure your vehicle will deliver you safely to your destination now and in the future. These engines have been completely disassembled and every component gone thru to make sure it serviceable and in good condition. Once the components have been cleaned and checked, unserviceable parts are replaced and the engine reassembled. After assembly each engine gets it's 30-minute break in run. components are replaced as necessary to meet D&Ms strict quality standards. 6 months or 6,000 mile Warranty on all Refurbished engines. All of our premium engines feature brand new factory OEM parts (If factory is no longer available we source out the highest quality replacement we can find). Our premium engines are assembled to exact Volkswagen Factory Specifications and are stock down to the color. © 2007 D&M Automotive Services Inc.